FEMALE reproductive rate is one of the main profit drivers in a beef cattle enterprise, especially in northern Australia. Research, notably through Beef CRC in the early 2000’s, highlighted the scope for genetic improvement of reproduction in Bos indicus and tropically adapted breeds. Daughters of the best Brahman sires produced almost 30 percent more calves than daughters of the worst Brahman sires. We know these results are due to genetic differences, as the daughters were out of randomly allocated dams run under exactly the same environmental conditions. The research, both in Australia and overseas, showed that two component traits of lifetime reproductive performance were highly heritable. Those traits were Age at Puberty, and the ability of females to conceive early while rearing their first calf (first post-partum anestrous interval – PPAI1). Accurate measurement of Age at Puberty requires serial ovarian ultrasound scanning of young heifers to detect the age at which they reach puberty. Scanning is also required to pick the date at which the first calf females returns to estrous. For most breeders of seedstock, scanning females to detect age at puberty and PPAI1 is out of the question, but recording days to calving is quite practical. Days to calving is easily recorded, requiring the date that the bull was introduced to the mating group and the birth date resulting from that mating. Cows that don’t calve are penalised in the evaluation. While days to calving does not have the same high heritability as age at puberty and PPAI, it is much simpler to measure and is strongly related to these traits as well as lifetime reproductive performance. The new single-step BreedPlan analysis will use days to calving plus genomic information to give more accurate indicators of the genetic potential for reproductive performance in both females and males. Days to calving is the trait used as an EBV in BreedPlan and the accuracy of days to calving has been improved by the use of genomic information. While genomics can add significant information to the evaluation, it does not stand alone. Accurate genomic information requires a ‘reference population’ that is well-recorded for all fertility traits and whose genetic profile has been associated with the level of performance for the traits of interest. Single step BreedPlan analysis is the most up-to-date method of incorporating DNA marker information into the BreedPlan analysis, in conjunction with the more traditional phenotypic measures. Currently there are two very important projects that are building a reference population: Repronomics and the Kaiuroo project are both conducting extensive phenotypic measurements of reproduction as well as genotyping all relevant animals. Repronomics is a large project based in northern Australian herds representing the three numerically largest breeds – Brahman, Santa Gertrudis and Droughtmaster. To date the project has produced more than 4000 calves and has conducted intensive measurements of phenotype and genotype on male and female offspring. This project, under the control of Dr David Johnston of the Animal Genetics and Breeding Unit (AGBU), is continuing research into the genetics of reproductive traits in tropically adapted beef cattle, as well as contributing significantly to the reference population that will enable the use of both genomic and phenotypic measures in the genetic improvement of fertility. To be of value, a reference population must be genetically linked to significant herds in the wider industry population. Animals that are genetically linked to animals in the reference population will have significantly higher accuracies for their own EBVs. The project has used sires from a large range of industry herds to facilitate linkage across the northern beef industry. Breeders who want to describe the genetics of reproductive traits in their own herds based on genomic information will benefit from strong genetic links to the sires used and evaluated in that study. In 2017, an MLA Donor Company-supported project was initiated which aimed to undertake intensive phenotyping for male and female reproductive performance, as well as genotyping of all animals evaluated for those traits, in a seedstock herd with good genetic links to industry and current research herds. This study was proposed, and is part funded, by the managers and principal of the Kaiuroo Aggregation in Central Queensland, with assistance in the design and analysis provided by researchers from the Animal Genetics and Breeding Unit (Dr Matt Wolcott). The male component of this work, which will see all bulls sampled to assess sperm morphology traits, is of particular importance, as the Repronomics project is evaluating all male progeny as steers to examine finishing and carcase traits. This means that the Kaiuroo MDC project will be the only source of sperm morphology phenotypes available from a designed research project for the Brahman breed since the end of the Beef CRC in 2012. 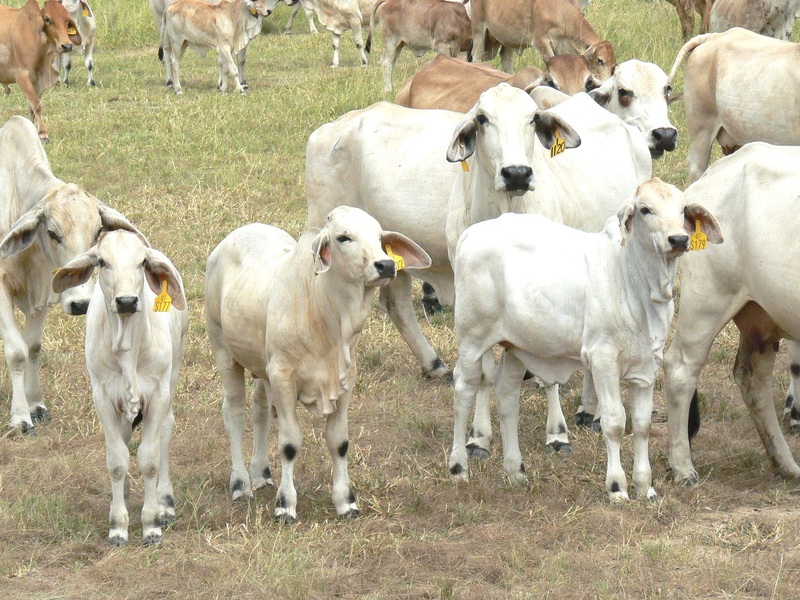 The motivation for Kaiuroo management to initiate the project came from an appreciation of the importance of female and male reproduction as a driver of profitability for breeders of Brahman cattle, a desire to better understand the genetics of these traits in their own herd, and to contribute to the quality and breadth of genetic description of reproductive performance in bulls and females at the breed level. While undertaking the intensive recording required by the Kaiuroo MDC project, there has also been a significant effort made to introduce superior genetics for reproduction into the Kaiuroo stud herd. “We saw genetic improvement as vital to our drive to improve productivity and profitability of our organic commercial operation,” says Jennifer McCamley, of the Kaiuroo Aggregation management team. “Our 2017 drop calves were the first generated by the newly focused breeding program, and those progeny display significantly lower days to calving and higher 600 days weight EBVs, as well as higher JapOX $Indexes than those of previous generations,” she said. 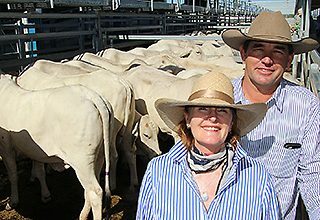 Ms McCamley said she recognised that selection based on profitability would produce the optimal genetics for the Kaiuroo breeding program and bull buyers, and that single trait selection was not the way to go as there were a number of contributors to the profitability of a bulls progeny (both male and female). 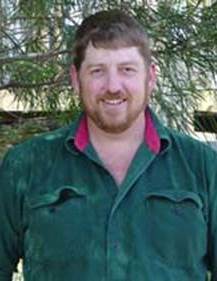 In conjunction with AGBU’s Dr Matt Wolcott, Kaiuroo management have developed their own custom selection index, which aims to use a balanced approach to improve the genetics of reproduction, growth and carcase traits to increase the profitability of Kaiuroo bulls, as sires of commercial breeding females required to reproduce and survive under the harsh conditions which prevail in northern Australia. Dr Woolcott said it had been enlightening to work with Jennifer and her dedicated team at Kaiuroo. “They should be congratulated on their forward-thinking initiative to set up this project,” he said. Bull Breeding Soundness Evaluation (BBSE) has been used in the industry for many years to increase the chance that young bulls being purchased are sound and fertile. 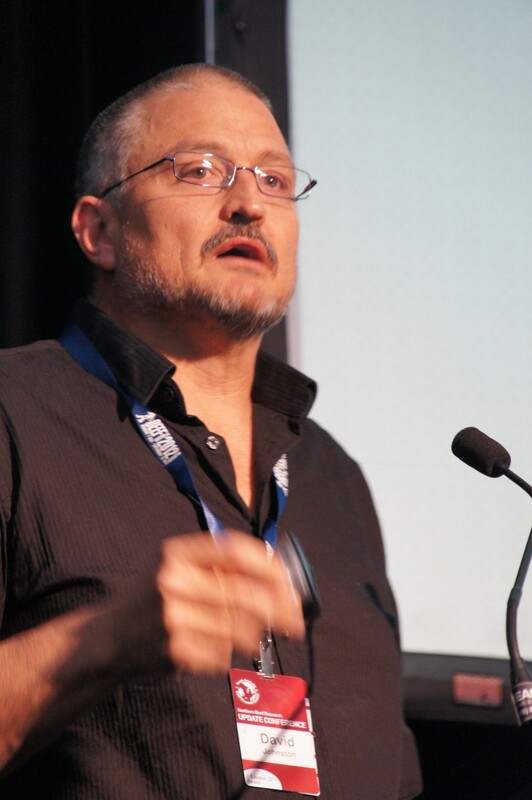 Private industry consultant John Bertram has been a long-term advocate of BBSE and has been involved in training young veterinarians in the BBSE assessment at the University of Queensland Veterinary School for many years. Mr Bertram says that in the next few days he knows of more than 1000 young bulls that will be examined prior to the next bull selling season. “The industry is moving in the right direction, with more breeders and buyers recognising the importance of testing young bulls prior to expecting them to produce calves in a natural mating situation,” he said. BBSE is important at the genetic level as there is a relationship between bull soundness at a young age and the reproductive performance of their daughters. However as with all phenotypic measures, to use it as genetic criteria, it needs to be turned into an EBV. There is an EBV available for percent normal sperm that will allow breeders to make selection of genetically superior males. Adding genetically superior males into the equation has two effects: the bulls will produce more calves in their working life, and their daughters will have higher fertility. BreedPlan uses the known association between days to calving and male traits such as scrotal size to increase accuracy of both traits. In time the EBV for percent normal sperm will be correlated to the female fertility traits and will also be used in a balanced breeding index. The potential for genetic improvement of fertility in northern-based breeds has never been brighter with the implementation of phenotypic and genotypic measures of fertility. For the industry to benefit, however, more breeders and bull buyers need to recognise the value and select their replacement bulls on the improved information. 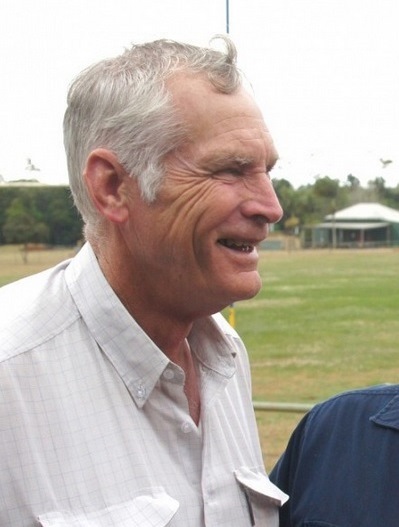 Guest author, retired NSW DPI Beef Cattle Breeding Specialist Wayne Upton, is writing our Weekly Genetics Reviews for the next few weeks, while Alex McDonald is on holiday.